Go and visit your college before the beginning of the academic session. Familiarize yourself with the environment you are going to be spending the next two years in. Visit the library, the computer lab, the sports room and, of course, the classrooms. Meet the teachers if they’re available. It’s your chance to interact with them and strike a personal chord. Knowing where you’re going will help lower the anxiety of a new beginning. The first few days can be particularly overwhelming for some. 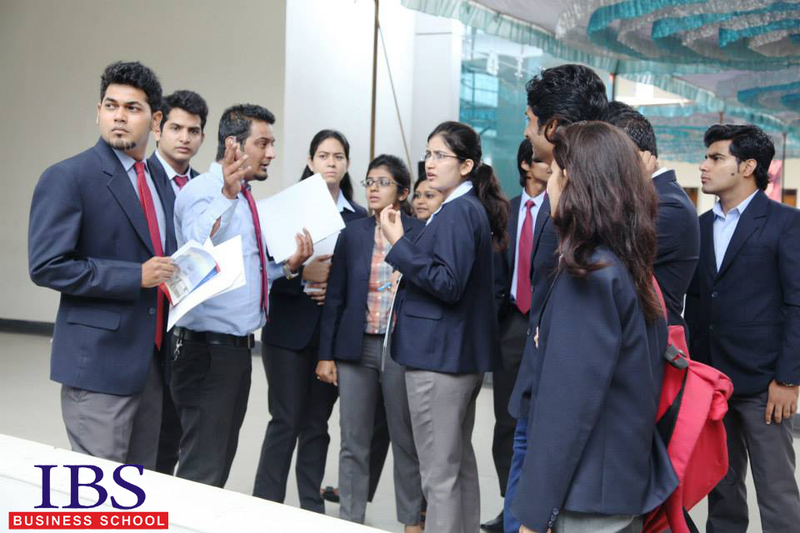 Most batches have a diverse mix of students with different educational backgrounds and work experience. It takes time to mingle with the ones who aren’t like you or don’t share the same interests. However, one must learn to adapt and be willing to consider and respect different viewpoints of their peers. So, keep an open mind about such possibilities, even if you don’t agree to it.. Chances are you are already pretty active on Facebook and LinkedIn. But here we are talking about making personal offline connections. Few years down the line, your batch-mates might be influential people in different industries. So, it’s important for you to start early. Identify the ones you can learn something from and expand your horizon. But do it with a casual disposition. Invite them over for dinner sometime and get to know them better. It’s far easier to open up in a casual environment than in a classroom. Make a system that works for you. It’s a good idea to take notes in shorthand in the lecture and then rewrite them in a different notebook at home. It is not advisable to make lengthy notes in good handwriting at the cost of missing out on what the professor is teaching. The advantage of the former is that it helps you revise what was taught and ask relevant questions in the next lecture. Also, keep a track of all your assignments. Download an organizer app on your phone and make a log of the pending assignments with submission deadlines. Make a folder to file your assignments and other important papers. You can use color-coded stickers to categorize by subject. Organizing gives you the confidence of being in control and prevents last minute panic. Minimize distractions in your study room. For instance, avoid studying in a room with a television. Although, listening to music while studying can be a personal preference. It soothes some while for others it can distract them from the task at hand. Again, find what works the best for you. You can also put up posters and quotes that inspire in your room. Reading them daily helps to imbibe the wisdom and can be a guiding philosophy. Another important aspect is the actual physicality of the workspace. Keep your desk clean and clutter free. Find a chair that won’t harm your back and neck during those long periods of study. Keep your basic tools such as pens, paper clips, dictionary, thesaurus etc. at hand to avoid any disruptions. There’s nothing like learning from someone else’s experience especially when you are just starting out. Dig in your college library or consult your professors to find the best reading material out there. This will especially come in handy if you’re planning to have a start-up when you finish your MBA. The more you know, the better prepared you will be. Invest in yourself. It is far more tempting to spend your pocket money on movies and eating out. Though you cannot disregard the importance of recreation, it is equally important to put aside some of your pocket money on subscribing management publications. McKinsey Quarterly and Harvard Business Review are abounding with real world business problems and how managers across the globe are coping with it. The magazines also focus on areas such as leadership, organizational change, negotiation, strategy, operations, marketing, finance, and managing people. Some of the most famous management gurus of our times are frequent contributors. Subscribe such magazines from Day 1 of your first year and you’ll know how management principles being taught to you are applied in the real world. One can never emphasize enough on the importance of an internship. The key is to find the right place to intern and soak up as much as you can in those three odd months. Do your research. Don’t just skim through websites but go and meet people who work there. The good news is that it is not necessary to intern for a big organization. Look for a company that will give you more hands on exposure. Small businesses and start-ups will be more willing to take a risk on you. Your contribution there will impact the bottom line and help you develop a portfolio of real work. Who knows they might even offer you a job once you finish your second year! This is perhaps the most important tip of all. After all, you are not the only one who is doing this. Thousands of students share the same apprehensions and anxieties as you do. It is perfectly normal to feel this way. For most, this is the beginning of last two years of college life (unless you plan to do for a doctorate after this). The memories you make during this period will last you a lifetime. Lastly, remember that it isn’t just about being a good manager. It is also about being a good student, a good team player and a good friend. We are repeatedly told that in a day and age where ‘change’ is the only constant, the ones unwilling to embrace it are sure to be left behind. This raises some obvious questions. Would it not be infinitely easier to just work within a set of boundaries that must never be crossed? Isn’t it more rational to follow a successful standardized method instead of concentrating on customization? No doubt it is tempting to follow a set of routine and emergency guidelines, but what happens when the ever-changing market dynamics interferes with and limits your resources and desired output? Here is where Creative Management surpasses Traditional Management in a business setting. Often confused with creativity management (which is the management of creative thinking skills and other mental processes), creative management celebrates creativity and innovation in the business processes. We know that both innovation and creativity intend value creation and innovation without creativity is unheard of. Ideas have little value unless applied. If ideas exist but no action is taken, it is imagination we are left with, not creativity. Peter Cook, of Beverley Gardens, Maidenhead, had an idea and he pursued it. He innovated to benefit homes prone to flooding. The new product is a natural jute bag containing a super-absorbent polymer weighing only 400g. When placed in contact with water it absorbs the liquid and expands to 32 times its size. Peter creatively managed to effectively prevent indoor-flooding. For our purposes, creativity can be defined as concurrent problem identification and idea generation whereas innovation can be defined as creative idea selection, development and commercialization. Creativity in management decisions and processes make incumbent businesses and new entrants stand out from their competitors ensuring more market share. Sternberg & Lubart, in their signature work Defying the Crowd tell us – A product is creative when it is a) Novel and b) Appropriate. An innovation can have a long-term impact but the creative managers need to ensure that an immediate need for it exists. The process of creativity in Management is the ability to perceive things in new ways by questioning assumptions, reasoning, synthesizing information by finding hidden patterns and connections, taking calculated risks, modifying or creating product, service or process; all with passion, commitment and agility. The Traditional (or Classic) approach views creativity as a deliberately managed process. In both Classic and Creative Approaches, it is up to the management to set frontiers or boundaries while managing organizational change. The initiation of change however is not as big a taboo in the latter. The biggest problem with the Classic approach is that it fails at proper crisis management in spite of being a consistent and “tried & tested” approach. Simply stated, new problems usually require new solutions. Keep up or perish. In the case of creative management, crisis produces challenges that must be taken on as a risk or chance, demoting the status of crisis from that of threat to an opportunity. In short, crisis becomes the catalyst for potential positive change. The change can be approached as either sustaining or disruptive. Sustaining Creative Management needs more structure and focuses on doing things better. Disruptive Creative management isn’t too wedded to the existing system and believes in doing things differently. There are various factors that must be considered before deciding the most suitable approach at any given period of time. Creative Managements chase insights that help them to connect more resolutely with their target audience. In the Marketing scenario, modern marketers create the intended perception by constructing a web of associations and targeting the creative consumption. Social Media Advertising is just the tip of the iceberg. Anything from innovative packaging to a discount deal can assist in moulding the brand image as planned. A Successful Innovating Company is quite easy to spot. It has an aura of collective creative consciousness, which pervades throughout the organization and into the hearts and minds of their consumers. It manifests as motivation and creativity of employees throughout all sectors. Each employee heartily takes up the oft-silent pledge to do by the greater good of their organization and commit to teamwork. The love is reciprocated by the organization to its employees. There is a focus on continued creative education and wellbeing of the employees. No stone is left unturned towards the possibility of further innovation and new opportunities for creative change. All alternatives are investigated before employing any new idea through systematic Research and Development. A Successful Innovating Company conquers the markets using a project-based approach with a healthy rate of risk taking. It carries the talent to legally finance the innovation activities and does not hesitate to cooperate with external experts when required. Since the Creative Approach focuses on using the limited resources in the most effective manner, it has become the go-to style of budding entrepreneurs today. Creative start-ups adopt this Management style to make a lasting first impression and to nudge it in the desired direction. Creatively managed Businesses understand their customer like an old acquaintance would, making the most of the insights collected, providing value (and striving to provide more) where earlier there was little or none. Creative Management envisions and takes steps towards a glorious future, yet is proactive when it senses the winds shifting. It is always on its toes, strategically choreographing its moves and simultaneously dancing in tune with the market rhythm to the delight of consumers and the awe of its competitors. Believe you can change the world. Work quickly, keep the tools unlocked, work whenever. Share – tools, ideas. Trust your colleagues. Radical ideas are not bad ideas. Invent different ways of working. Make a contribution every day. If it doesn’t contribute, it doesn’t leave the garage. Believe that together we can do anything. **Internal: Own R&D department, technical division, production divisions, marketing and sales, logistics, guarantee and post-guarantee service, owners; External: customers, suppliers, competitors, consultants, R&D institutions, schools, universities, professional publications, Internet, exhibitions, fairs, specialized seminars and conferences, advertising agencies, investors, media, authorized testing labs, certification agencies, state institutions and public sector, legislation, globalization. *Seven sources of Innovation impulses by Drucker. We will be discussing in our following posts the tools used for creative management in an organization, the characteristics of a Creative Manager and how Creativity is a discipline, which can be learnt. The anticipation of getting into B-school of our choice is very joyous. We all get excited with just the mere thought of a whole new journey. The reason not just being that these will be the last years of our student life, but we will also find ourselves standing at the main gate to enter the enticing world of the corporate. 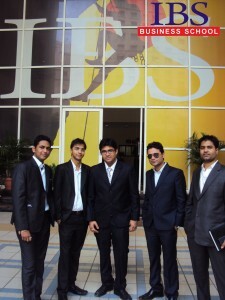 It is true because the day we decide to pursue MBA, we start dreaming about the corporate life we would want to be in. But can we decide on which department would suit us the best and which one we ultimately want to be in? Like in this case, would Finance be better or HR? Informed decisions are always better than following any advice blindly. 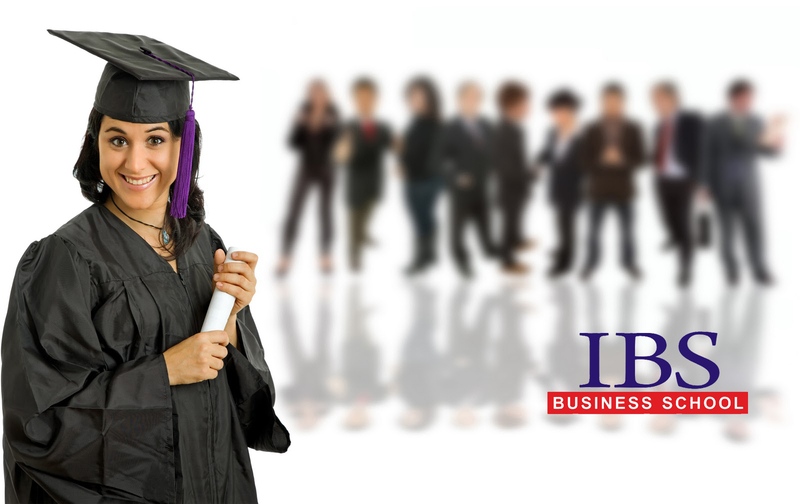 Since MBA is a crucial step towards one’s professional life, all the decisions should be taken with utmost care. Especially since the professional life makes most part of the adult life. ‘What specialization should I opt for’ is a million dollar question. There is no scientific guide to decide which field is good for girls? The one and only solution to this dilemma is to find out the field of your own interest. Let’s discuss some ways which can help you decide the specialization of your choice between MBA in Finance and an MBA in HR. This golden rule should be considered irrespective of any specialization like Finance, HR, Marketing or IT and systems. Imagine yourself in the future and think, is this what you want? There can be many reasons for choosing one specialization over others, such as better companies, better salary packages or better opportunities. But at the end of it, all we want is to be happy. Will your decision of choosing one specialization over other be able to keep you happy in the future? If the answer is yes, you are making the right choice. Choosing the right field this time is similar to choosing our elective subjects in high school. The only difference this time around is that it is probably the last time you would be choosing a field of your interest. Of course, there are options available for you to opt for a dual specialization or switching fields but isn’t it better if you decide beforehand? I am sure the answer is yes. There are always some subjects which we have enjoyed more in our school days. So the subjects that interest you the most need to be the focus here. In any business, there are majorly four functional departments, namely, Marketing and Sales, Human Resources, Operations and Finance. Human resources and Finance are totally opposite functions. Both these functions consist of some sub functions. For e.g., in Finance there is Investment Banking, Mergers and Acquisition, Debts Market etc; whereas in Human resources there are sub functions like Learning and Development, Recruitment and Training etc. Once you decide the specialization, you will study these sub functions in your final year of MBA. However, before choosing any specialization you should do a thorough research regarding these sub functions, so that you have certain level of clarity about your area of interest. You can talk to your seniors and professors and then decide upon what sounds more interesting to you and what will interest you more as a career. Have you always loved playing with numbers? Or have you enjoyed solving people’s problems. All of us have different personalities and traits that are enhanced as we grow. I remember my school days when I hated numbers and always avoided group studies because I knew I was not good at it. Instead, I took part in debates, plays and extracurricular activities where lots of creativity was involved. Today all those things are helping me shape my career in Marketing. There are some things we do not enjoy doing at all. We all know what we like and as one wise man said, you should always do what you like. Before choosing and deciding what you want to pursue as a career, think wisely. Never end up doing what you are not interested in or don’t have an affinity for. Otherwise, you will never be able to amalgamate your job and passion..
MBA is more about learning from experiences and events rather than gathering bookish knowledge. It is not surprising if an element of confusion still exists after weighing all the pros and cons and trying to reach a decision. In such cases, all you can do is put your best efforts to find out where your interest lies and one very interesting way to do that is by actively participating in college events. 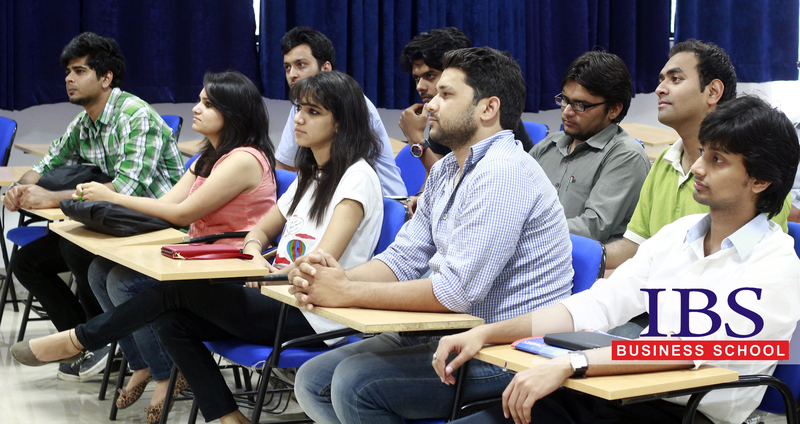 Almost all the colleges have clubs specific to the functions, like Finance clubs, HR clubs, Marketing clubs etc. You should participate in different clubs and their activities to understand what you enjoy the most. Case studies are one major part of any MBA curriculum and they should be, because they teach about critical events of companies and how to cope with them. Case studies are a part of daily classroom study material in B-schools and if you want to have a flourishing career for yourself, you should always take them seriously. They will not only imbibe problem solving skills in you but will also help find out your key interest areas. Extracurricular activities are also a great way to understand your choices. You get an opportunity to interact with like-minded people who must be going through the same issues and it will benefit everyone by discussing it with each other. By talking to them and exchanging thoughts you may get clarity for yourself. As I mentioned earlier there is no scientific guide to decide what to choose and what not to choose. Of course, there are many deciding factors but in the end, it should solely depend upon what interests you the most. You should back your decision with a rigorous research over your key interest areas to ensure a fruitful and satisfying career. One wrong decision taken today may create problems for you in the future. 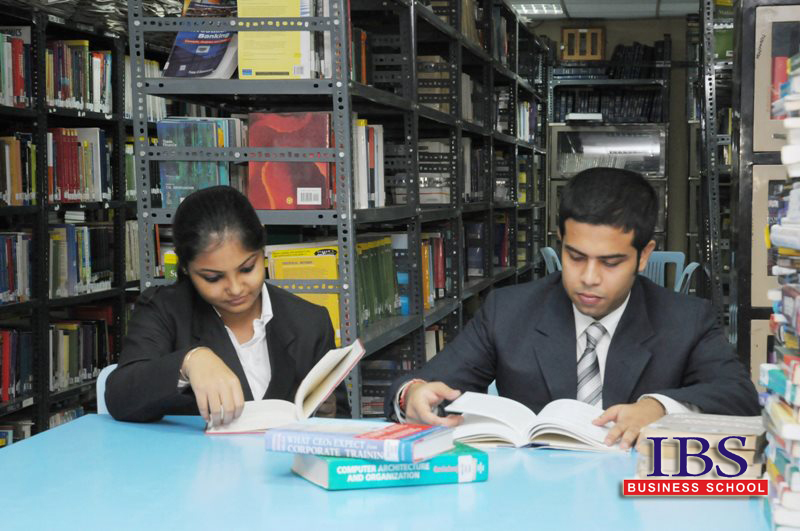 MBA is a path deciding career for anyone and it is very essential for you to choose wisely. Never take any decision blindly. Of course, following your heart’s choice is recommended but if the decision involves the brain too, through sound knowledge and research, it will help you carve a dream career for yourself. After all, a decision that involves both heart and mind never goes wrong. Should I do job or MBA ? Is MBA correct choice for me ? So now you are nearing the completion of your graduate course, be it B. Tech, B.Sc., B.Com, B.A. etc. and wondering what to do next? May be last year you did summer training and got a flavour of a real job or maybe not. After years of schooling where you jumped from one class to another, the only real choice you made was after board exams in choosing the stream and college. You have a much difficult task at hand now. You can choose to start earning or continue studies. Even in studies there is a plethora of options. You can choose for a Masters degree in the subject like M. Tech, M.Sc., M. Com, M.A. or you would have heard people talk about this stream called MBA (Master in Business Administration) or PGDBM (Post graduate degree in Business Management).Then what is the right choice for you? Well, in spite of the confusing options like Baskin Robins variety of flavours in ice cream, the first move should be to take a step back and understand your financial situation, aspirations in life and your personality and nature. Situation: The first and foremost consideration is your financial situation. Most of the courses in private colleges range from Rs 2 lacs upwards per annum. Apart from this, there would be overhead expenses for boarding, lodging, books, some expenses on projects (undertaken during the 2-3 year course) etc. In case you have already taken loan during your graduation or will now require taking a loan to finance your studies then you have to dwell on this decision a tad more cautiously. You must be sure that after graduation from the PG course, your value in the market should be worth the investment of these two-three years. Aspirations in life: In case you are a subject matter expert (SME) kind of a person who has enjoyed his/her subject and enjoy the technicalities of the subject then it makes more sense to dive in a Masters course or straight-away take up a job. It lets you experience the application of theory in the real world. However, if you are the kind of person who enjoyed the subject but do not see yourself applying in real life by taking it up professionally, then you may keep you undergraduate qualification as your base and move to a management course of MBA or PGDBM. Such courses while utilizing your base qualification requires application of same in the real world in a more general sense. 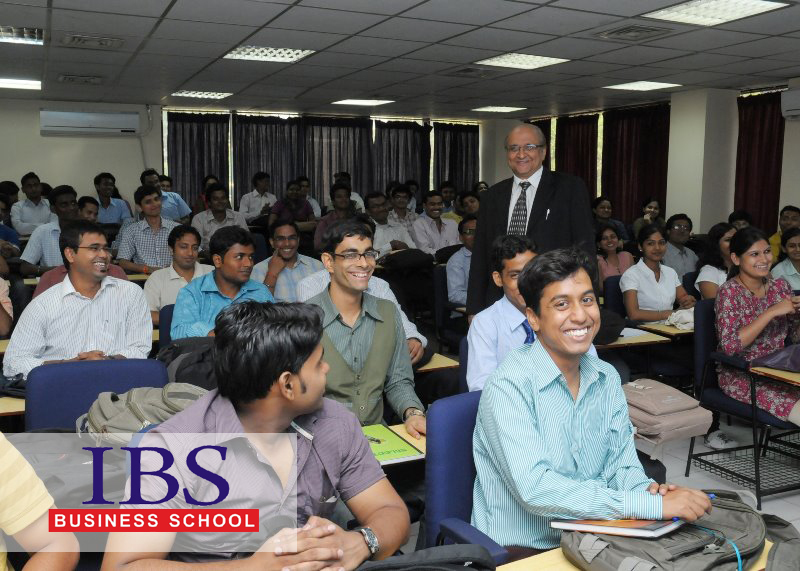 Common options in a MBA/PGDBM course are in Marketing, Finance, HR, General MBA among others. To quote my own example, I am a B. Tech in Computer science stream and did my MBA in marketing. My first job was in HCL infosystems Ltd. where I was in sales team pitching for ‘Total Outsourcing’ of IT infrastructure as well as sales of security systems like bio-metric attendance and visual recording system. My base qualification in Computer Science made me comfortable in the sector though I may not know much about this area. How I learnt, through falling and getting up is story for a future blog. Nature: One of the key parameter, though slightly linked to above but nevertheless important, is your nature. By nature, I mean how comfortable you are in interacting with others. A management degree would more often than not land you in a job that constantly requires interacting with people. Presentations and making decisions become the part of routine. This does not in any way mean that all introverts go to technical field and extroverts are fit for management. Many things are picked up during the course of professional career and technical people too manage a team of people as project leaders. Project leaders interact, manage and drive the team and update the customers as well. Management guys may be good in their subjects and play the role of manager as well as subject matter expert based on their work and experience. The main role of a management graduate is to plan and manage work, driving people and getting things done in a timely manner and with the resources available. A manager in finance or HR for example would have to find ways of saving cost or meeting recruitment targets even if the traditional methods are not working out and would need to look within the sector, outside it or maybe some other way to meet the requirements. Often this also requires not wearing technical person’s hat even though you may know a lot about the specific field. Another school of thought, which is slightly risky, especially here in India, is to do a job for a few years and then join MBA/PGDBM course. Why it is risky you ask? It is because once we become habitual of a steady income of our own, it is difficult to leave it and go back to the classroom. However, in the West most colleges do give huge value to work experience. Once you have seen the professional life, it is easier to relate to concepts and situations covered during the curriculum. A word of caution here though – when you ask various people you get so confused that at the end of the day you find yourself stuck at the exact spot where you were in the morning. Discuss with parents, friends and seniors but just to hear out their views. Don’t rely on them entirely to make a decision for you. Taking your own decision, after all, is one of the key steps of growing up, isn’t it? Is it worth enough to spend lakhs of Rupees for a Master’s Degree? Since the past few years, the value of an MBA/Master’s degree may have dipped a few notches due to the global economic down turn. Many people lost their jobs and most are still searching for one. There are quite a few questions that are still unanswered in the minds of people, especially those who have been considering doing an MBA. Does an MBA degree actually help in shaping the career of a student? 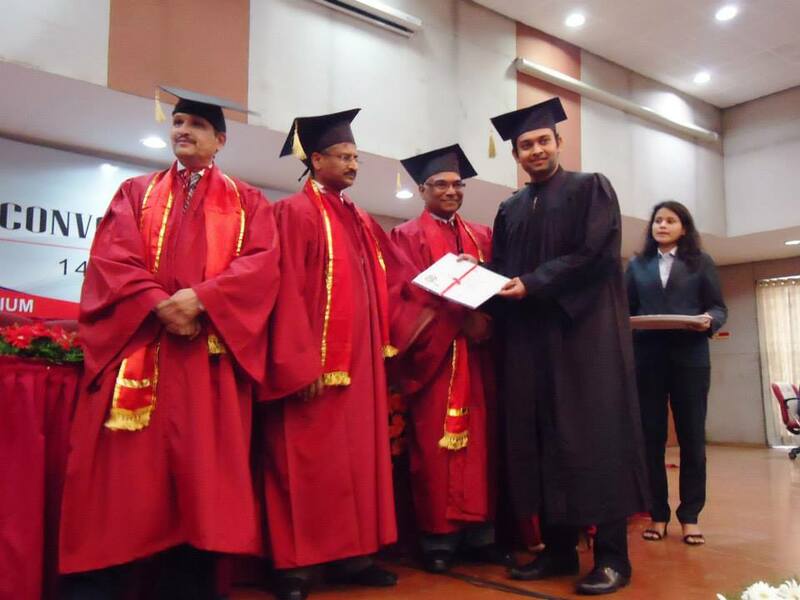 Is it worth spending lakhs of rupees just for an MBA degree? Does MBA college act as a money making machine for their trustees or Directors? Unfortunately questions like these will never end. However, the answer is pretty straightforward, which is, – Perception. It is how you perceive things and situations around you that matter the most. This can also be termed in one word as Attitude. All these questions arise in the mind of the public because of their perception. Generally, the public’s perception of any college degree revolves mainly around the salary – what kind of starting salary would the students get after the completion of the degree? What is the highest starting salary and what is the average salary after completion of the degree? The students don’t pursue a degree just to get a high starting salary. Instead, they pursue it to have a good career. If you choose any graduation or post graduation degree just for the ‘good salary’ aspect, then probably you have already taken the first wrong step. If you start your MBA with the focus just on the end result, there may be chances of it hindering your efforts at times. However, if you work to achieve excellence in your studies, then it can lead to a better career rather than placing all your energy and efforts on the final result. There is a perennial debate between what is more important – The path of the journey or the end destination? There is no clear answer for the same. The most important question from all these above questions is – Is it worth enough to spend lakhs of Rupees for a Master’s Degree? To answer the above question it is necessary to know the cost behind a Master’s degree. To get an admission in a good Master’s/MBA college, attending coaching classes is essential to crack their entrance exam (CAT/GMAT). Once that is done, there are numerous fees that need to be paid, some of which include application fees, GD/PI cost and Admission fee. The total cost will be around 20 – 25 lakhs for tier 1 B –School and 8-10 lakhs for tier 2 B – School. For an International Master’s degree, it will cost you around 30-35 lakhs. Staying away from family for 2 or more years and living in a completely different environment will add on to the expenses that one needs to incur. The total expenditure for a master’s degree is probably high but can prove a better investment in future. ”Money spent for education always reaps better benefits in the future”. The main purpose of a Master’s degree is to gain an in-depth knowledge in a particular field and finding different ways to apply those theories in practical life. A Master’s degree doesn’t only give you bookish knowledge but also teaches you the practical implications of the same in the global business world. It also teaches discipline and practicality which can be considered as some of the most important aspects of personal life too, apart from just the professional. It gives a glimpse of the society and the world in which we live and are currently surrounded by. It equips every student with industry relevant skills, enhances his capabilities and imparts a spirit of entrepreneurship as well. Some people perceive that spending lakhs of money for a Master’s degree is not worth it as it is better to save that money and rather get regular returns. To everyone who asks has this notion in mind, here is one question for you to consider – Is the investment more beneficial than your career? Probably in the initial stages, after completion of the degree, the student may not receive a high starting salary. The future, though, will hold a different scenario as the knowledge gained during the course of the MBA will ensure a successful and a bright career. “An investment in Knowledge pays best interest”. 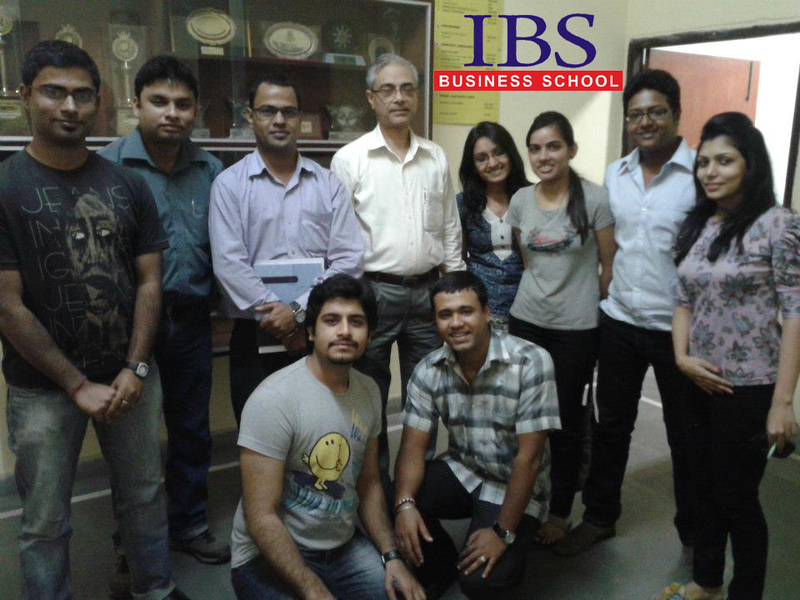 An MBA imparts many valuable lessons to all the students. These life lessons can be incorporated in both professional as well as personal life. Different electives are offered which heightens the expertise of a student in that field. Let us see some of them. Management Skills: – Apart from on structural variations of different organization, the MBA curriculum will focus on general principles of administration, efficient handling of risk, principles of leadership and team building. Operations management: With its focus on production and its overall planning, a specialized approach to management of operations will help you gain a thorough access into the principles of quality control, management along with control of inventory as well as supply chain. Finance and accounting: – With its detailed focus on theory, principles and guidelines of accounting, Master’s in accounting helps you understand the importance of cost control and its effect on an organization’s strategic planning and that of production. After this specialization, you can make a great headway in highly competitive banking sector. Human Resource: – For grooming the skills of man and interpersonal management, an MBA degree is extremely beneficial. It also helps you to get an insight into industrial and labour laws. If you study from a good college and are conceptually sound with all the basics, then you can be assured of good salary in addition to a good profile to kick-start your career. If you have learned good entrepreneur skills, then you may even start your own venture. Like Rajiv Bansal, the CEO of Flipkart. Studying MBA from a recognized and reputed college gives you a great brand value. It opens up the career path for you in the field you want to make a long lasting and successful career. The networking opportunity it offers within the alumni, experts of different fields, top industrialists, professors adds a value that cannot be measured by money. “If you give a fish to a person you feed him for a day, if you teach him how to fish you feed him for a lifetime”. A good Masters degree teaches you ‘how to fish’, which in turn can help you learn and grow in life. If you excel in your studies, then sky is the limit to what you can achieve. We have quite a few examples of those who gained immense knowledge from their degree and are currently leading one of the largest business houses of the world. Azim Premji, Chairman of Wipro, Alumnus of Stanford University. If you wish to see your name amongst these renowned ones, then don’t think twice about pursuing an MBA degree. Investing in it would be one of the wisest decisions that you will ever take. It will open up numerous avenues where you can excel and contribute to the business world. The question “Who am I” is not merely rhetoric which only Spiderman has to face. Beginning with the interview session for your MBA, this is the one question which will continue to haunt you for the rest of your life. As your experience and educational qualifications increase, so will the introductory lines-but the shorter attention spans of the people interviewing you will make you cut short your achievements. More often than not, most of us facing the interview panel for any MBA course would be freshers straight out of graduate courses having nothing much to boast about. Poor or average academics further compounds the problem of how do you explain to a panel of experienced professors that while you never got 99% in your life, you sometimes barely scraped through some subjects? Consider the fact the panel has had to go through and listen to thousands of introductions throughout the day and your introduction is just one amongst the many applicants. Start your introduction by relaxing yourself just enough to let a small smile and make an eye contact with each of the panellists. Eye contact is difficult to ignore, especially in a closed room and the panellists will have your ear instantly. Start your introduction by mentioning where you are from. Most of the times the mention of a place strikes a chord with people and you can get the panel warmed up. Dropping in a few lines about your parents, siblings also helps to familiarize the panel with you. Additionally, when one is constantly harping about only their achievements or life history it can get dull pretty quickly. Relaxing a bit before entering the room also helps. Some people find their hands turn clammy and there are visible sweat marks on some people’s forehead as well. Wear a formal dress in which you feel comfortable in and most importantly don’t sweat in the harsh Indian tropical climate. Summarising about yourself and what you have done for the past 20 odd years is a difficult job, make no mistake about it. The more you think about it, more ideas and more achievements no matter how small will come to your mind. Keep practicing your introductions and focus only on adding interesting aspects of your personality and overlook the inconsequential information. Be on the lookout for signs of boredom or fatigue amongst the panel members. If you notice that happening, then quickly change track of conversation, ignore that line of thought and make an attempt to jump possibly into the next stage of life which you might want to introduce. If academics in terms of marks are not amongst your strengths, avoid mentioning specific colleges and instead mention the University you graduated from. The panel members will any which ways find out about these details by going through your resume’ but there is no need for you to dig your own grave by letting out your weaknesses speak in your introductions. Don’t end the introduction abruptly, instead gradually head towards your closing points by mentioning what you did last (academically or professionally) and then gradually wind up by clearly mentioning why and how an MBA degree (in this case) will help you polish your resume, add value to your academic credentials and more importantly the skill sets which you are looking forward to enhance and hone. A truly difficult interview panel is one which constantly interjects to every line you utter by grilling you. A favourite hunting ground is the part where candidates mention their hobbies. Cricket is an all-time favourite to which an ever eager panellist will jump in by asking if you like to play or just watch cricket. Most of the candidates sadly admit to only watching the game on TV which does not really qualify as a hobby. Don’t add hobbies just for the sake of adding them to make yourself or your resume look interesting. Hobbies show how complete a person is, how she or he spends time and what skills are developed as a result of the hobbies pursued. Interviewers are on the lookout for well-polished, well rounded personalities rather than one dimensional people. After all, an MBA is a degree pursued by people from all sciences and arts where it is clear that everybody wants to pursue MBA to become more professional. “I want to pursue my MBA from one of the best universities in the US or the UK or at least from one of the premier B-schools in India.” How many times have you said this to people who ask about your MBA plans? In a few years, these people will meet you again,and you do not want to tell them— “I am late now” or “I do not have an option right now” or “I will try next year”. Opportunity knocks your door once or maybe twice. You must grab it immediately. Many of us fall into the trap of waiting for the best college, never realising it could be too late for us. By this, I do not mean that you should be aiming at any random B-schools either. Instead, I suggest you to broaden your choices of MBA schools. There are definitely more options than you have restricted yourself to. Become more aware of them and do a cost-benefit analysis before applying. Think more strategically and act tactfully by taking your decision at the right time. An MBA aspirant should always remember that there are various opportunities in the market to consider while waiting for their choice of post graduate programs. I am listing a few fundamentals to keep in mind while you gear yourself for a robust MBA program. Plan your life well: Once you have broadened your B-school choices, optimize this time to pursue several market opportunities that will come your way. This will strengthen your profile and eventually increase your probability of selection in an MBA program. Do not waste your time in theoretical preparations for your applications and interviews. Plan every month and week with realistic targets and well-calculated risks. It is never a guarantee that your plan will become a reality but you are better prepared for contingencies. Choose your focus: One of the best roads to success is to choose your focus in advance. If you think an MBA in finance is your choice, try to work for a finance start-up to understand the basics of the setting up processes. If you have marketing skills, look out for opportunities in that field before you wait for an MBA selection process. However, this can be tricky. You need to be very focused while choosing a pre-MBA career. Finance has many segments and so does marketing. You will have to make an informed decision between corporate finance, customer finance, internal finance, banking etc. in the finance department; sales, pre-sales, event management, business development, pricing department, etc. in the marketing department. You may also choose to evaluate various roles to create a diversified profile for yourself. There are plenty of options – advisory, consulting, research, operations, information technology, e-commerce, logistics and so on. 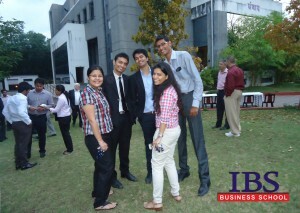 Become employable before MBA: Invest your time in understanding the basics of working in a corporate. Learn the processes and techniques that a company has to offer. Try to take ownership of activities and focus on delivering meaningful results. 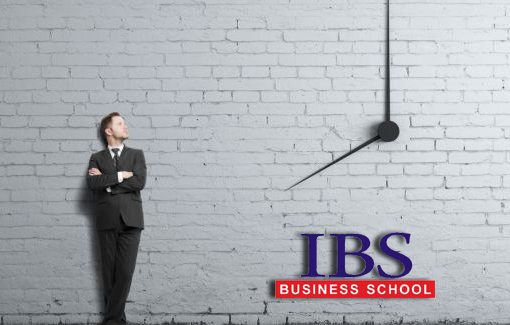 This will serve a dual purpose of a fruitful MBA journey and making yourself more employable across industries after you complete your MBA.Consider working across verticals and functions in one organization to be able to leverage the maximum of your time in a corporate. 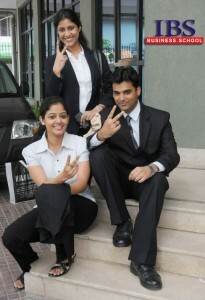 Cut competition by becoming valuable: Approximately 2 lac MBA aspirants are competing in India for a place in the best colleges. The question you need to answer is—do you compete with them or cut this competition? I would go for the latter. I will not fight for the same things as everyone else. I will make myself unique by obtaining a different skill set, or transforming a function in a corporate, or venturing my start-up idea. Build your application with evidences that are difficult to ignore. There are times in life when you choose, and then there are times when life chooses for you. Which would you prefer? 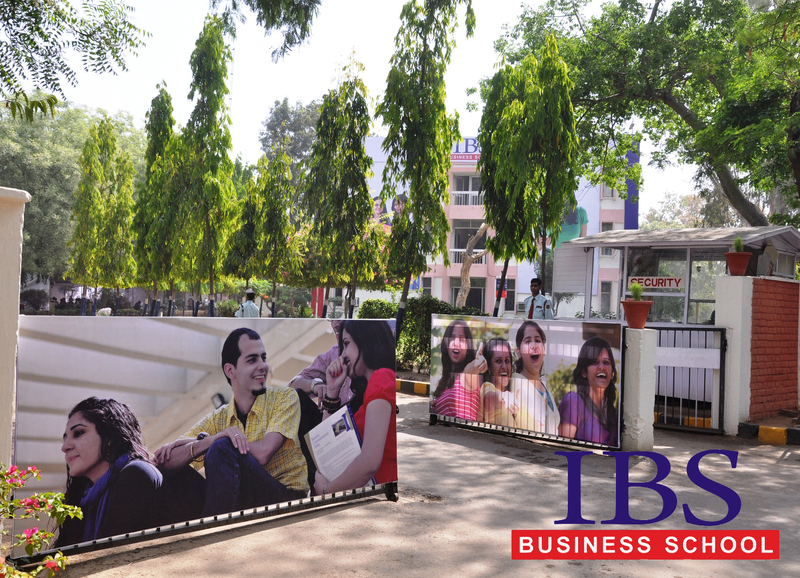 As an MBA aspirant, continue to grab the market opportunities and build your strengths across the focussed dimensions. At the same time, identify your weaknesses and build an action plan to work on those. Try to become a subject matter expert in a particular field before you join an MBA program. This will create a winning edge for you. What is most important is to broaden your B-school choices so that you are not left behind by the limitations of your mind. Always remember, ‘better late than never’ may not apply to everything. Pioneered in the early 20th Century at Harvard University, the case method has become the favoured teaching tool of most of the world’s leading business schools. 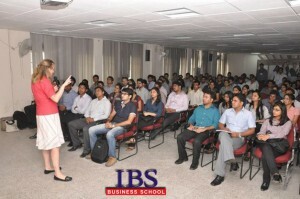 Why Case Study based teaching in the B-School? 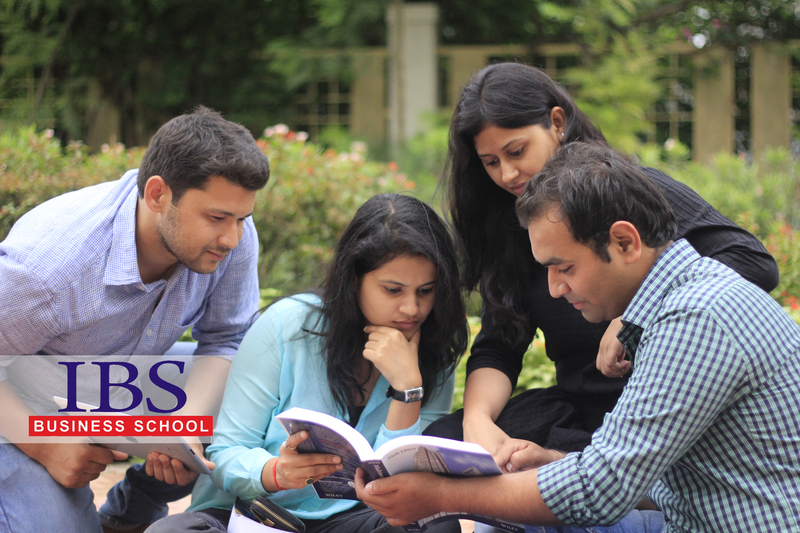 If you are busy looking for the right B-school for your MBA which can give a head start to your career, there is one question which you should ask before applying – does the B-school follow Case Study Approach? Most of the MBA aspirants check the placement track record, Industry Interface, faculty, Infrastructure, Alumni relations and many other things before applying for an MBA Program but they often do not check the curriculum and the teaching methodology followed. This is the key input which will make a lot of difference in your learning and will be a key take away. Case Study based method became popular in a lot of foreign universities which emphasizes on practical teaching method as compared to our Indian education system. 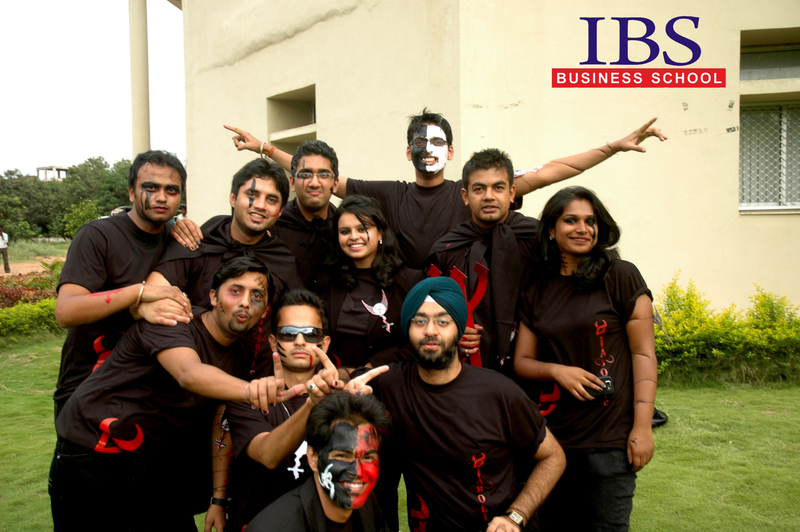 After its success was recognized, some of Indian B-schools adopted this idea and included it in their curriculum as well. For e.g. IIMs follow this approach and everyone knows about their success. 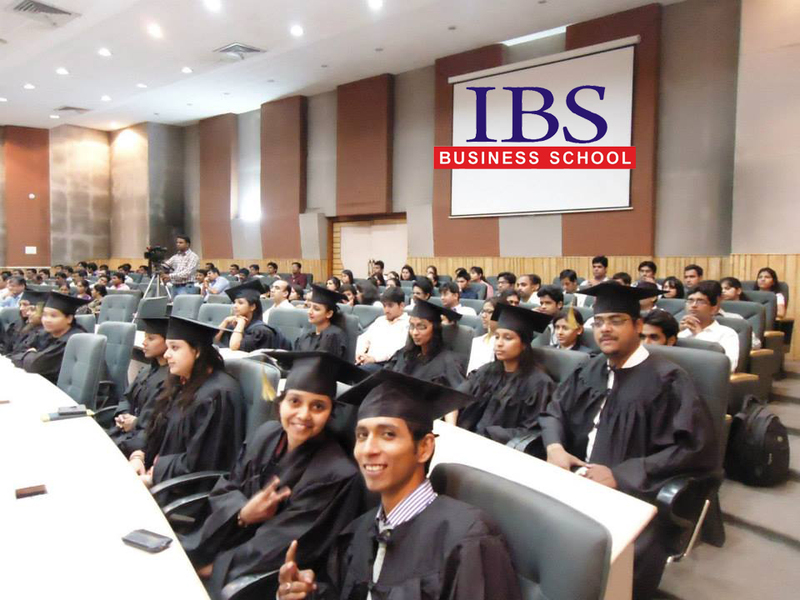 All the campuses of IBS also follow the Case Study based method. How Case Studies makes you think like a Manager? Case Study based approach gives you a perspective to deal with real life situations as there is no fixed solution to any problem. 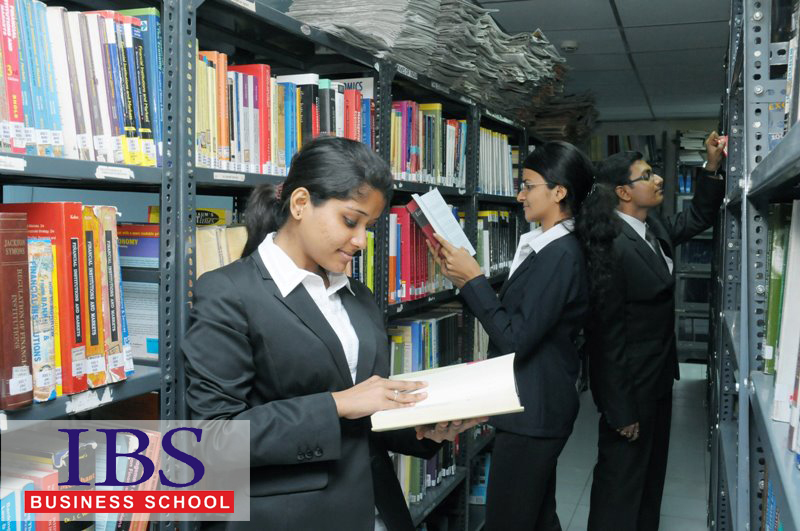 Case studies are selected after thorough research which focuses on their application and relevance for the students. In a case study you are given a situation (generally a problem) which you need to analyze first hand and think about all possible solutions. You have to put yourself in the manager’s shoes and brainstorm about it. After you submit your solutions to the faculty, you will be amazed to see the actual solution which was implemented in real life. It allows you to compare your solution with the actual solution and learn how to apply them in other similar situations. Most of the case studies are hand-picked by the B-school from the leading international universities, international companies and Management Gurus. Case studies cover almost all industries like IT, Finance, Banking, Retail and Manufacturing etc. There are numerous case studies which have become so popular and their relevance is not restricted to any particular industry. One good example of a case study done by Harvard Business School on operational effectiveness of Mumbai Dabbawalas who serve more than 2,00,000 customers everyday in the city, through 5,000 organized porters who carry cooked lunches to office workers. As per Harvard Business School Case Study “Mumbai dabbawalas error rate is one in six million deliveries.” As most of the dabbawalas are uneducated or under educated, to achieve this feat with this kind of workforce is no less than a mile stone. The interesting thing is how a team of dabbawalas perform their everyday tasks with almost ‘zero error’, which some modern day organizations find difficult to achieve even after adopting latest techniques and tools. In fact, the dabbawalas have been applauded all over the world for their operational efficiency not just by the corporate companies but even Prince Charles is their fan! By keeping it Simple – The coding system used to identify dabbas is very easy and simple to understand with almost no technological involvement. Through the coding system, dabbas are segregated and delivered to the right place. We often use complex structures and processes which may not be understood clearly by everyone in the company. So if you have to look for its relevance in your life, one thing which you should remember is to keep it simple at all times, be it communicating with your peers or your customers. You will be able to connect with more people socially as well professionally. Focusing on Core Job – Mumbai Dabbawala even tried experimenting with introducing advertising material and delivering samples of Microsoft and Hindustan Unilever products with the dabbas, but they soon realized that the extra time to include fliers or samples was leading to a delay in their delivery. They soon cancelled this project and started focusing on their core job. Lately they have started delivering dabbas from canteens and other small catering companies which is complementing their main business theme to deliver fresh homely food at doorstep on time always. So when you start working or start your own business always focus on the core job and never deviate from it, which is a key to success. If you follow this, then you are preparing yourself to step in to the CEO post or taking your own company to the likes of Apple, Virgin etc. Case Studies have relevance not only to the professional work but in our day to day life as well. Case studies are generally done in a group which enhances your teamwork and allows you to benefit from the experience of others as well. Case studies describe real management issues in real companies. Once you start working after your MBA, there will be instances when you would have to deal with different situations involving employees, top management, competitors, Government policies etc. It is imperative to judge and do the best thing possible in such situations. You will also realize that all you have learnt through case studies will help you in take prompt and almost accurate decisions in complex situations. I would like to summarize it with the following quote from Mr. Kamran Kashani (IMD Business School), on the benefits of a Case Study based approach in Management schools. It’s a lazy weekend. I finally manage to wake up to my mother’s rebuking on the laziness that I display despite the coming of age and entering this so called “adulthood” phase. Dragging myself to freshen-up and eventually getting hold of my cuppa coffee, I open my newsfeed app. So here I am, an ardent member of the Gen Y; getting my dose of daily news on the go- unlike my predecessors who were stuck to the newspapers. Browsing through the hullabaloo of reports on SAARC meetings, Syrian Crisis, et al, I held my gaze on an article by a management guru of a leading tech firm. What struck me here is, why call him a ‘Management Guru’? Why not call him an ‘Administrative Expert’? Is Guru not an Indian word? How ironic to see such management pundits guiding us on different ways to ideate and manage! Indian history is brimming with examples of men running enterprises beyond the notions of their times. The west has learnt what we conveniently unlearnt. Today, what has survived here is a tangled mess of chaos where “babus” in various government and public service departments administer chores to their subordinates. It’s a stark contrast to see when the likes of many national and international corporate manage themselves effectively in the same country. Now what brings this difference? How is it that the public nee government sector loses its sheen whereas the private sector is growing by leaps and bounds? Despite having the resources from the same roots, what is the secret to this success in private companies? However, when people dream of attaining higher positions in life, business or politics, they aspire to embrace the position of bosses, rather than leaders. While a boss is mostly concerned with outcomes, a leader feels responsible for the process of that outcome and the people who see the process through. Here we encounter the fact that the difference of approach by a boss and a leader is through the ideologies of administration and management. In principle, the concept of administration is defined by the process of organizing a business’s people and resources in order to ensure that objectives are achieved. Administrators are followers who take direction and oversee the flow of work. Meanwhile, management narrows the focus from the beginning by stressing on the business skills that make an effective business leader. This includes the ability to implement change in a company, establish a consensus among key contributors and maintain a creative strategy for the business’s success. It encompasses decision-makers who often run the company. The duties of the management team often involve organizing the operations and overseeing its continuity. Today, many multinational businesses are functioning in a globally distributed manner. Working on a single project from diverse locations requires definitive management skills and thanks to the internet, it links the entire mankind into one big producer as well as consumer. This can only happen when we look beyond the paradigms of administering controls and withholding power in limited hands, recognizing the importance of changing the attitude of an organization and its members from ownership to the sense of belonging. We may say that the administration forms a part of the management function. All that is administration is also management, but all that is management is not administration. Administration has an ‘outside- in’ approach, whereas management has an ‘inside-out’ view. An example would be the administration deciding that casual Friday would no longer be allowed. The management would then pass on this information to employees and see to it that everyone follows the new rules. Let us take an example of the film industry where the production has gone beyond the layers of acting, direction, screenplay and composition. If we ask the older generation about the way films were promoted back in the day, the maximum answers would be through movie posters or by the radio/TV commercials. With the advent of times, the scope has widened, the viewers have more options thus it’s imperative for the production house to create an impact by entering the mindsets of all its audience through every medium possible. We are looking at a shift in the focus from the director to the producers who facilitate the post production which is a very important factor of marketing. All modes of communication are tapped right from print, visual to the growing world of social media for providing the accurate platform in order to connect with the viewers. Thus, we see that the administrative function of movie-making has become a subset of the overall management of producing a movie package. Looking back at the initial thoughts on Gen Y being more ‘on the go’ as compared to our earlier counterparts, the way we have built our lives also takes some sense of management. The young people of today are able to lay hands on volumes of relevant information, irrespective of experience or position. Talking in terms of work environment, Gen Y recruits are raised on social media, have special skills in pulling together solutions and they know how to mobilize their networks. This ability to gather, collate, make sense of information and respond in real time often trumps experience. Then comes the aspect of resource availability, where we can be groomed and equipped to lead, not only the baby boomers or Gen X but also the succeeding generations. One of the examples of such a knowledge transfer is a business degree. It helps in developing a broad knowledge of trade operations as well as gaining targeted skills in specific fields, such as customers, markets, finance, operations, strategy, business policy, communications and IT. With the advent of technology and internet, the world has shrunk in size which makes exploring international contexts in various functions quite feasible. Such academic learning exposes a person to more than just theoretical data. It helps them exhibit the practical implications of the same. One can also gain many valuable transferable skills, which can be put to use in everyday life or to take a completely different career path. Knowing the importance of every resource and optimum utilization of the same is what makes a true manager. In these dynamic times, the environment within every sphere is stimulating with energy. This untapped energy is where a true leader shines to become a ‘Guru’. Suddenly, I was awakened from my enlightened reverie by my father’s shouts to help with his work outside the house. It’s time this sage lets the world know – “I have arrived”! 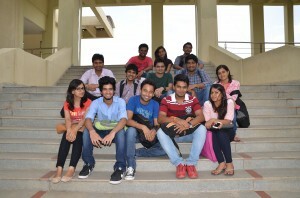 Life of a student is packed with activities leading towards academic and personal development. 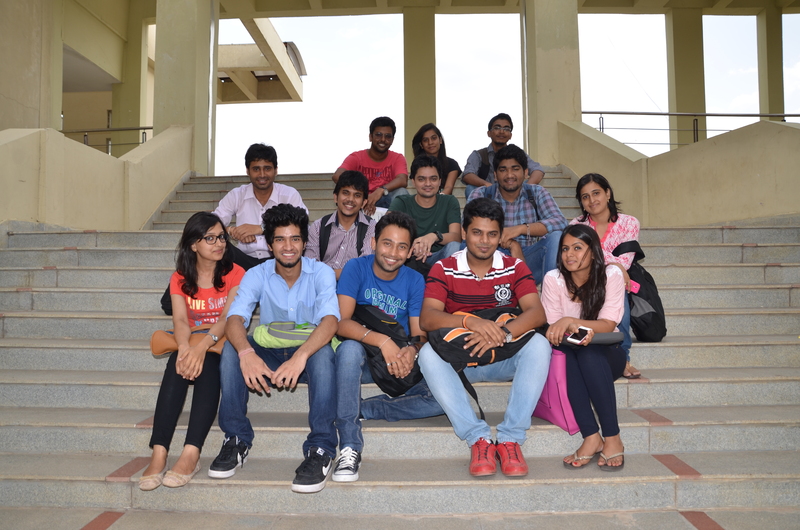 Be it classes, sports, college events, friends, exams or placements; everything needs time and involvement. Some students are great at juggling multiple activities whereas others find it extremely challenging. Some students are always on top of things whereas some are always lagging behind. It is very important to know in which category you belong to. If you find yourself to be on the challenged side and have decided to do something about it, you came to the right place. Remember that you are not alone. Many people around the world face this issue. And the good part is that this challenge can be overcome by inculcating simple changes in life. Understanding your time value and developing a strategy to manage it efficiently is the key to success. To utilize time well, the first thing you need to figure out is where you are currently spending your time. Get a pocket diary and begin with writing down your daily routine. List down all the activities that you do in a day and allocate time to each of these activities. You need not complete this step in a single day. Keep writing and updating till you feel you have covered most of the things. Think about what is important to you: friends, family, career, education, health, travel etc. Put them in order from 1-10 or a, b, c. This will help you give priority to the things you value the most. Evaluating your priorities is a continuous process as they change with time. Start with an initial draft and keep revising it. A goal is something that you want to do or achieve. Consider the key areas of life like career, health, finance, relationship, skill development etc. Think about what you want out of each of these areas. Having clearly defined goals in each of these areas will give you direction and motivation. Analyze if you are spending time on your goals in the sequence of your priorities. The area where your highest priority lies needs to be given maximum amount of your time. Start using a calendar. Maintain all the scheduled events and activities in the calendar. Categorize them as yearly, semester wise, monthly or weekly. For daily activities, use a to-do list that you can carry with you. Use your weekly schedule to create the daily to do list. Spare five minutes to think and plan for the day’s activities. This can be done at the end of the previous day for the next day or beginning of the day whichever suits you. Review the weekly schedule at the beginning of every week. This gives you ample of time to plan and prepare in advance. When we have something really important or urgent to be done, we often try to delay it. We have a tendency to do things of lesser importance like checking e-mails, cleaning the table or making phone calls. We keep putting off difficult tasks again and again. Eventually, it gets too stressful to handle. We struggle to finish it and end up producing work that ranks low on quality. The best way to get through this is to look at the task as a whole. Then identify all the sub-tasks associated with it. Once you know all the smaller activities, things will become more manageable. Then tackle the smaller activities one by one in a style of your preference; Easier ones first, tougher ones first or in the sequence they are listed. Have a place dedicated to study. Try to keep this place organized and have all the study material that you might need available. This avoids distraction and wastage of time. Maintain a fixed study time everyday. This will bring you into a routine. Switch off your phone and other distractions during this time. This sets the expectations of the people around you that you are not to be disturbed. You may feel like procrastinating but pull yourself to the study place and start fiddling with the scheduled work or do something related to it and slowly you will find the resistance wearing off. Be flexibleYou may start with time management with great enthusiasm but on certain days when you cannot maintain the schedule you may end up feeling upset. It is important to know that situations keep changing and you may have to tend to certain things other than what you had planned for. Flexibility is the key to have a habit that is sustainable. If you are stuck with such a situation, check your calendar and re-prioritize it. If there are activities that you can do later, then move them and replace with more urgent tasks. On a certain days if you are completely off track or have totally missed the schedule, don’t feel disappointed or be too hard on yourself. Instead start over the next day. Allocate Some Time for RecreationKnow your attention span. If you can study with full concentration for a period of 30 minutes then create blocks of study and break time. For every 30 minutes of study, take a 10 minutes break. This will charge you up and also let you enjoy your free time without guilt. Give time to the things that you love to do. It could be sports, music, movies or books etc. Recreation is very important to get you charged up and keep you motivated. Try to do the best work possible for each task in its allocated time. Don’t try to create the perfect work every time you take up something. When you seek perfection you set very high expectations for yourself. Failures may lead to disappointment and low self-esteem. You could get prone to procrastination while trying to find the ‘perfect time’ for the ‘perfect work’. It’s good to aim high but be realistic and always keep some room for mistakes and improvements. Knowing your priorities and scheduling them is the beginning. Keeping up with the schedule is a habit that needs time and patience. Make slow and sustainable changes in your current schedule and slowly incorporate the above points one by one. A well-organized life finds time for everything. So go ahead, work your way to the top and do remember to reward yourself frequently as an appreciation on keeping up with your schedule and plan.